10% of the reservation value non refundable. Cancell possible untill 4 weeks before arrival. In our friendly bar we serve nice drinks and small snacks. 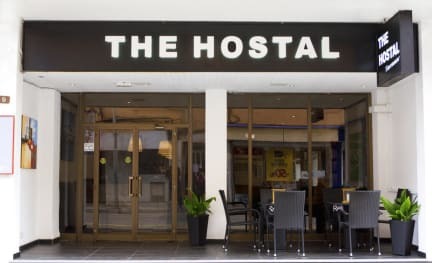 We are only 30 metres from the fantastic Playa de Palma beach, and just a 25 minute bus ride from the Old Town / City Centre. We have 28 guest rooms (singles, twins and triples) most with balconies, and all rooms have renovated private bathrooms with bath/shower, washbasin and WC. Book a Superior room and treat yourself to Air-conditioning! 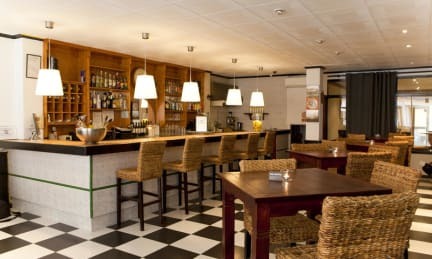 Our bar provides a friendly meeting place, with reasonably priced drinks, snacks, internet access and local information. My friend and I had a very good stay there. They have clean room. The bathroom was nice have bathtub. A little bit like three stars hotels bathroom. The breakfast was okay for me. My friend thinks the breakfast like three stars. She likes have more choices. Totally worth it. Very good.